IRNA – Iranian Foreign Minister Mohammad Javad Zarif said on Wednesday that the world is now regarding the US a ‘naked king’. 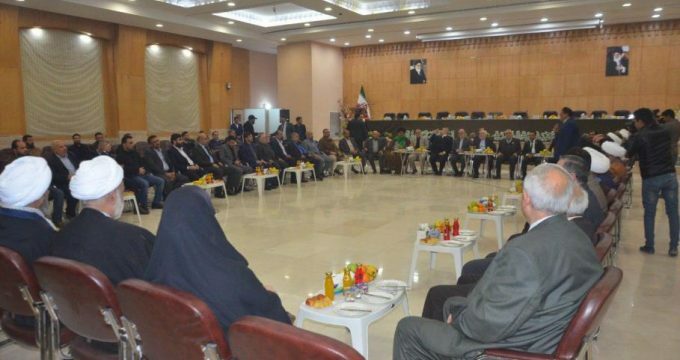 Zarif made the remarks in a meeting with representatives of Islamic Resistance groups in the city of Karbala. The US is now terrified from this fact that the world has reached to such understanding with regards to the US, he said. The Iranian foreign minister underlined that in fact, the world is now bidding farewell to the US authoritarian rule. ‘What happened in the past four years in Iraq indicated the fact that by relying on almighty and leadership of religious leaders all problems could be resolved,’ Zarif said. He went on to say that the secret of the mounting pressures by the US on Iran and Iraq is rooted in the same realities and the US is very concerned for our understanding from the fact. All may have heard the story of the ‘Naked King’ and all tried to distort realities and indicate that the king was wearing clothes but some day a teenager revealed the realities and cry out that the king was naked and king sheared and frightened, Zarif said. The Iranian foreign minister said that the US is to urge ‘us to believe that it has clothes while it is naked’. The era of US hegemony is over, but few dare to cry it out, he said.